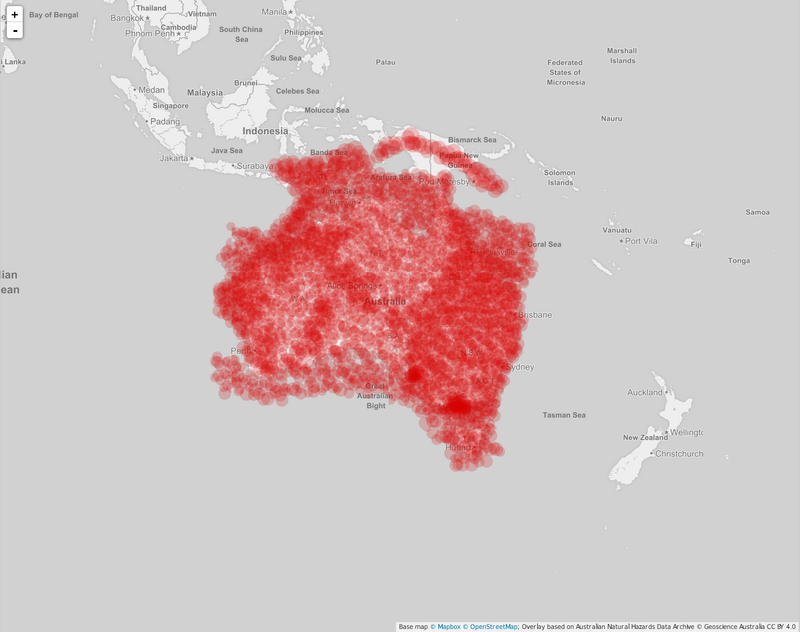 To prove the concept I've used the Geoscience Australia database with 30 million events, which was a 6GB CSV file. I've used the open source library tippecanoe along with custom code to ingest the GA Earthquakes dataset into the open standards vector tiles & mbtiles format which allows fast client side rendering and analysis allowing users to apply their own filter to the data or to create an animation through time of Australian Earthquake events. I didn't have time to build into the front end custom data filtering in real time, however that was my plan. All my source code is CC0 licensed on GitHub. GA Earthquakes from http://dap.nci.org.au/thredds/remoteCatalogService?catalog=http://dapds00.nci.org.au/thredds/catalog/fj6/earthquake/catalog.xml which is CC BY 4.0.